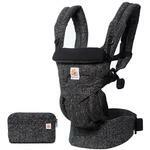 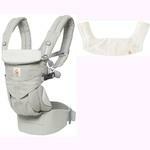 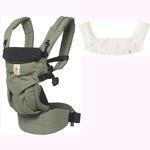 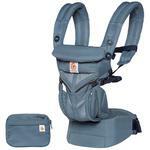 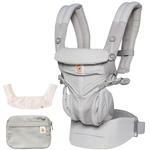 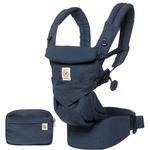 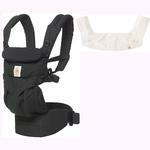 ALL-IN-ONE CARRIER: Adapts to your growing baby from newborn to toddler (~0-36 months/7-33lbs). 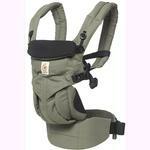 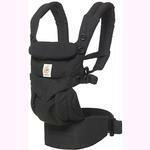 All carry positions included, face baby in or out, wear on the hip or back. 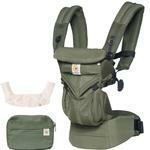 Large storage pouch included. 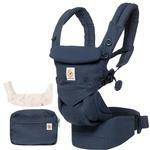 The only carrier you need. 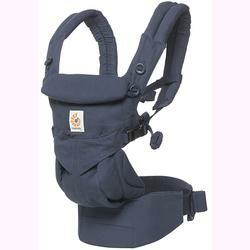 MAXIMUM COMFORT FOR BABY - With its innovative ergonomic seat that gradually adjusts to your baby, the Ergo baby Omni 360 keeps your baby ergonomically seated in all carry positions (front- inward, front- outward, hip, and back carry). 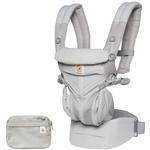 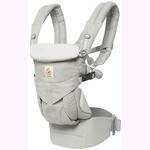 The carrier ensures your baby is always seated in an "M" shape position. 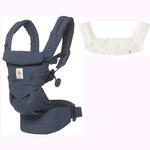 The versatile extendable back panel can be folded in providing head support for your young baby or unfolded giving your toddler the additional back support they need.